RIM announces the BlackBerry Bold 9780 | BlackBerry Blast! RIM has officially announced the BlackBerry Bold 9780 which is a refresh of the 9700. The BB 9780 will launch at T-Mobile on November 17th for $129.99 on contract. The full release follows. Waterloo, ON - Research In Motion (RIM) (NASDAQ: RIMM; TSX: RIM) today introduced the BlackBerry® Bold™ 9780 smartphone – the newest addition to the BlackBerry Bold series of smartphones. Featuring a premium and iconic design with an incredibly easy-to-use keyboard and optical trackpad, the BlackBerry Bold 9780 is elegantly styled and packed with advanced communications and multimedia features. It is also the first BlackBerry Bold smartphone to come with the new BlackBerry® 6 operating system. 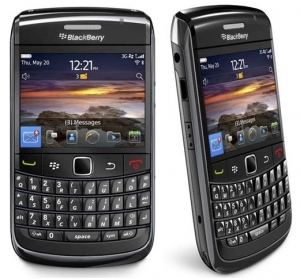 The BlackBerry Bold 9780 is a compact and stylish smartphone that offers a compelling blend of features, performance and design. It supports 3G networks around the world, includes Wi-Fi® with support for carrier supported Wi-Fi calling (UMA where available) and GPS for location-based applications and geo-tagging. It comes with a 5 MP camera with a full complement of high-end features including continuous auto focus, scene modes, image stabilization, flash and video recording. The BlackBerry Bold 9780 also includes 512 MB Flash memory and an expandable memory card slot that supports up to 32 GB of additional storage. BlackBerry 6 is a new operating system that retains the familiar and trusted features that distinguish the BlackBerry brand while delivering a fresh, approachable and engaging experience that’s powerful and easy to use. It integrates a new and rich WebKit-based browser that renders HTML web pages quickly and beautifully for a great browsing experience. The browser offers fluid navigation using the handset's optical trackpad, includes tabs for accessing multiple sites simultaneously and provides a zoom feature that can intelligently auto-wrap text in a column while maintaining the placement of a page's key elements for easier viewing. Additional features of BlackBerry 6 include expanded messaging capabilities with intuitive features to simplify the management of social networking and RSS feeds (Social Feeds), and integrated access to BBM™ (BlackBerry® Messenger), Facebook®, Twitter™, MySpace™ and various instant messaging applications on the BlackBerry Bold 9780 smartphone. Its enhanced multimedia experience rivals the best in the industry and includes a dedicated YouTube app. It also features redesigned Music and Pictures applications and a new universal search feature that allows users to more effectively search for content on the smartphone as well as extend their search to the Internet or to discover applications on BlackBerry® App World™.